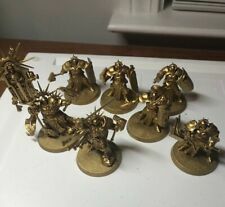 *Age of Sigmar - Stormcast Eternals, Liberators Retributors Prosecutors Lot*. Condition is Used. Shipped with USPS First Class Package. Pictures of exactly what you will get. Excellent starter collection for Stormcaat Eternals. 15x Built and Partially painted Liberators. NOS Retributors and Prosectors from the Star Collecting Box and Hammerstrike Sets. PLUS small game size playmat. 3 current bare plastic Palladors. 2nd picture shows the 2 styles of which you will get one, you will NOT get everything shown in that picture. If you buy multiples we will try to pull different styles but duplicates are possible and more likely at lower inventory levels. 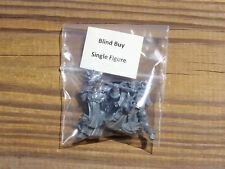 Battleforce Stormcast Eternals Vanguard Brotherhood Games Workshop Warhammer AoS. Condition is New. Shipped with USPS Priority Mail. Bare plastic unit of 5 Evocators. Three (3) miniatures that came bundles with other Games Workshop games I don't know which ones anymore. Check the photos. This multi-part plastic kit gives you everything you need in order to build one Knight-Azyros. The kit can also be assembled as a Knight-Venator, and includes a starblade, dagger, lantern, helm and shoulder pads unique to the Azyros. Current bare plastic Celestar Ballista. 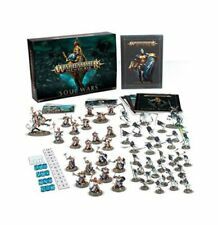 Age of Sigmar Stormcast Eternals for sale! 3x Vanguard Palladors (One missing a head and one needs its head glued on). 3x Vanguard Raptors. 15x Vanguard Hunters. Models are in various states of bare plastic, painted and base coated. Age Of Sigmar Storm of Sigmar NEW Stormcast Eternals Blades Of Khorne. Condition is New. Shipped with USPS Priority Mail Medium Flat Rate Box. It is a monopose push fit model. Models and bases only. See photos for details. 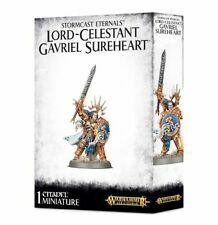 Included are the following 19 push-fit Stormcast Eternals miniatures No echecks! All bases are included. What you see in the picture is what you get. - 1 Celestar Ballista. Warhammer AOS Leena Stormspire model new in box, limited edition only available at store openings. Neave Blacktalon Stormcast Eternals . Stormcast Eternals Paladins: Starsoul Mace Weapon Head Bits ( 1 starsoul mace weapon head ). Note: just the weapon head, these 2 pieces go together to make 1 weapon head. Leave us a negative and you'll be blocked. Leave us a negative and you'll be blocked. If for any reason your having trouble just ask us for an invoice. They should take 2-4 weeks, with 2 weeks being average. Trending at $5.59eBay determines this price through a machine learned model of the product's sale prices within the last 90 days. Current plastic Judicators, bare plastic. 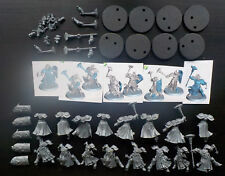 1 push-fit NOS Stormcast Eternals Castigators x5 from the Soul wars box set. Stormcast Eternals Liberators: Grandblade Arms Bits ( 1 grandblade w/ arms ). Leave us a negative and you'll be blocked. They should take 2-4 weeks, with 2 weeks being average. Stormcast Eternals Liberators: Arched Halo Heads Bits ( 5 arched halo heads ). Leave us a negative and you'll be blocked. Stormcast Eternals: Sequitors w/ Greatmaces Sequitor Bits ( you will get: all the parts needed to make 1 sequitor w/ greatmace & 40mm base, as shown ). Leave us a negative and you'll be blocked. If for any reason your having trouble just ask us for an invoice. 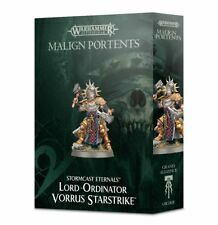 Lord-Ordinator Vorrus Starstrike Stormcast Eternals Warhammer Age of Sigmar NIB. Condition is new. This multi-part plastic kit contains the components necessary to assemble Neave Blacktalon, a Stormcast Eternals Knight-Zephyros. As well as these axes she carries a boltstorm pistol, stowed on her belt for easy access. 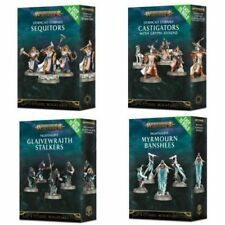 Warhammer Age of Sigmar Easy to Build Castigators with Gryph-hound - New in Box! This box of 4 models is new and still sealed! Not only capable of smashing barricades with their heft, these mighty missiles can discorporate the ethereal form of a diabolic creature in an instant. 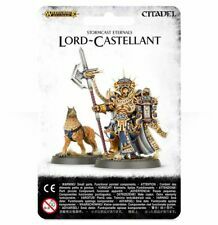 Designed to be as easy as possible to assemble for new hobbyists while being detailed enough for the hardiest veteran to appreciate, this kit assembles 3 Easy To Build Stormcast Eternals Castigators and a Gryph-hound. A ginormous Stormcast Eternals Army, which includes i. 1 Stormcast Eternals Stardrake. a. 20 paint pots with colors related to Stormcast Eternals. c. Stormcast Eternals Handbook. You will get in this collection.